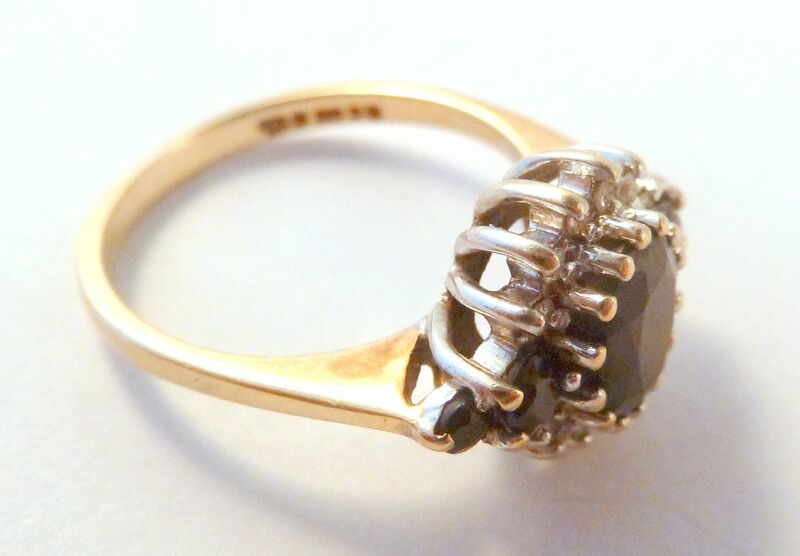 Vintage Sapphire And Diamond Cluster Ring. 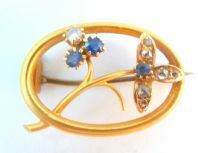 Vintage, early 90's, 9ct gold, deep blue sapphire and diamond cluster ring. 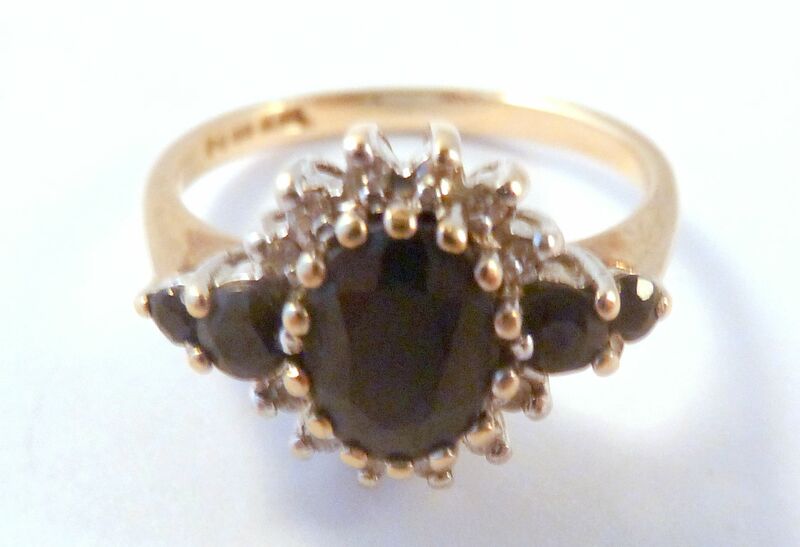 UK size k.
Vintage 9ct gold, diamond and sapphire cluster ring. 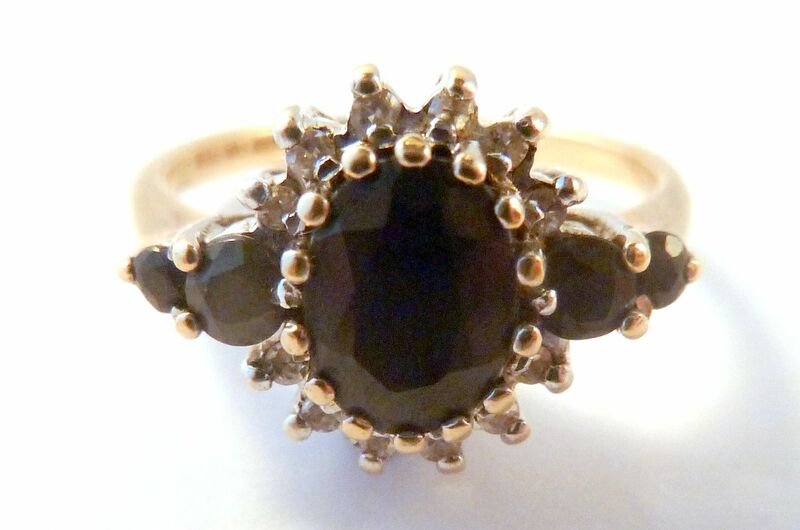 Featuring a centrally set very dark blue/black sapphire, set within a diamond cluster, with further sapphires leading to the band. 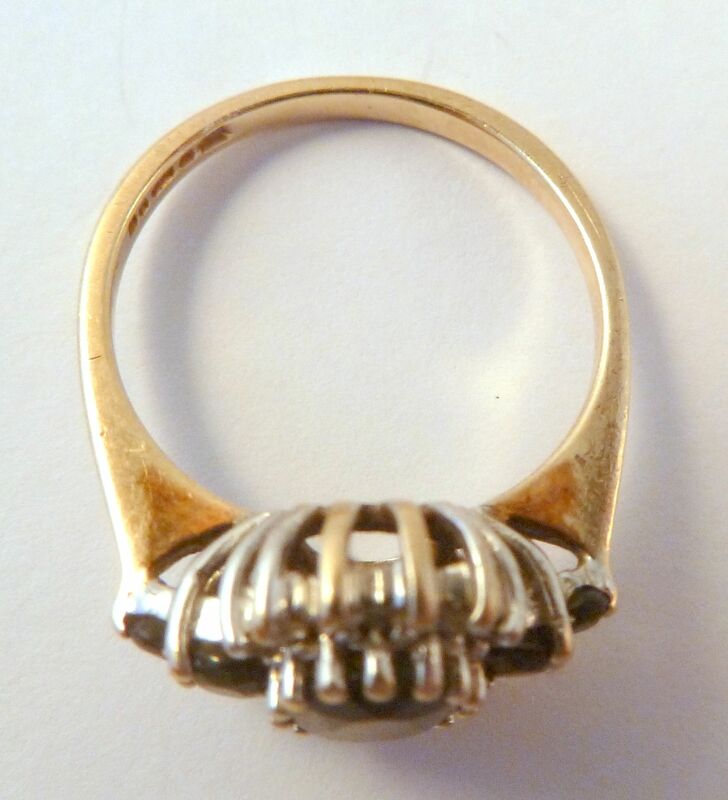 The ring is Hallmarked for 9ct gold, London 1991. 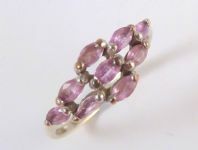 Small size ring, a UK Size k, US size 5 1/2. Ring Size UK K , US 5 1/2. 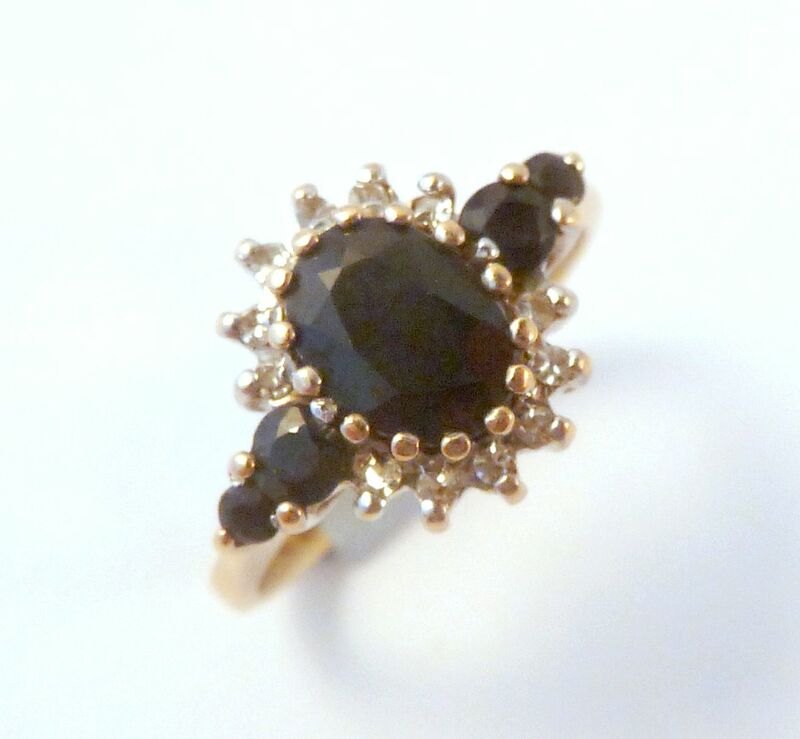 9ct gold, sapphire and diamond cluster ring. Hallmarked for London, 9ct gold to the inner band of the ring, with date stamp 1991. A stunning, vintage early 90's, 9ct gold, deep blue sapphire and diamond cluster ring. 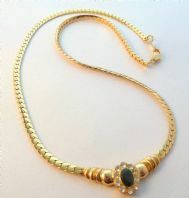 Vintage Style 18K Gold Plated Sapphire Set Panel And Herringbone Chain Necklace By Daxon. Vintage style 18K gold plated, sapphire and cubic zirconia floral design panel and herringbone necklace.